Are you a fan of Republican New Jersey Governor Chris Christie, a darling of the Tea Party activists? Are you planning to support him for the Republican nomination for President in 2012, for which he’s rumored to be planning a run? The conventional wisdom is that Christie’s biggest drawback is his obesity. But he’s got a much weightier problem: his big, fat love affair with HAMAS Muslims in New Jersey. Christie knows that there is a small, but notable, percentage of Muslims in his state. 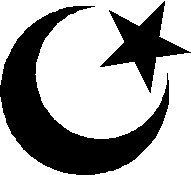 Paterson, New Jersey, which is in the county of Passaic, for instance, has more Palestinian Muslims than any other city in America. But it also has more Muslims who openly cheered the 9/11 attacks than any other city in America (except, perhaps, Dearbornistan). That Passaic’s Muslim population cheered on the attacks was covered even by Islamo-pandering, far-left MTV. Sadly, Christie is seeking this small, vocal, whining minority’s votes (even though this is a population that doesn’t vote in high numbers and won’t make a difference). To that end, Christie is nominating an extremist Muslim (redundant phrase), Sohail Mohammed, lawyer to assorted Islamic terrorists, to a Passaic County Superior Judgeship. Yup, Chris Christie rewarded those Muslim mobs who cheered on U.S. soil for the mass murder of 3,000 Americans with a judgeship. When the United States government attempted to deport Mohammed Qatanani, New Jersey’s pols and wannabe pols like Christie, quickly came to his aid. 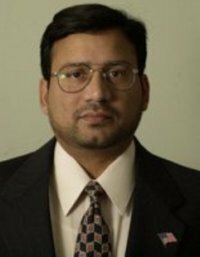 Despite the fact that Mohammed Qatanani was a member of the Muslim Brotherhood, the organization that is behind both Al Qaeda and Hamas, despite his own guilty plea to being a member of Hamas, and despite the fact that even in the United States, he had defended a charity that provided funds to children of suicide bombers (this is done as an incentive to reassure terrorists that if they die their families will be taken care of), Qatanani was not deported. . . .
Christie called Qatanani, “a man of great goodwill” and “a constructive force” and allowed Charles McKenna, one of his associate attorneys to testify on behalf of Qatanani. 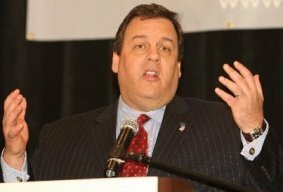 Afterward Christie tapped McKenna to head New Jersey’s Department of Homeland Security. McKenna had spent a good deal of time on Muslim “outreach”. . . .
Now Christie has nominated Sohail Mohammed, Qatanan’s former lawyer, to a Superior Court judgeship. Read the rest. Yup, it’s not that Chris Christie is fat. It’s that in pandering to the most extreme, most openly pro-HAMAS/Hezbollah Muslims, he’s simply a fathead. Chris Christie was George W. Bush’s U.S. Attorney in New Jersey, NOT Barack Obama’s. Uh-huh. That’s your conservative. And don’t expect to hear the partisan echo chamber of Hannity, Levin, FOX News, or anyone else expose this disgusting jihadist-pandering by Christie. In fact, yesterday, Christie was on FOX News Sunday and endured only the slobbering wet kisses of Chris Wallace. Wake up, conservatives and Tea Party activists. The left has no monopoly on sleeping with the enemy. When it comes to consorting with jihadists, the prostitutes who slept with the 9/11 hijackers ain’t got nothin’ on either liberal Democrats OR conservative Republicans. Anybody who supports Islam should not be voted in. Christie is a Muslim Appeaser. If we continue to vote somebody like Christie, America will be a Muslim country like England.